Serious Seeds was founded by Simon, a former biology teacher who became fascinated by cannabis after a trip to Africa in the early eighties. He started collecting seeds purely out of interest, but soon became fanatical about crossing top-quality strains to create all-new breeds. After working at Sensi Seeds for a while, Simon decided to start his own company and enrich the cannabis world with new genetics. Such classics include Double Dutch and Warlock, all top-notch strains you don’t want to miss out on! One thing is for sure; Serious Seeds live up to their name, a lot of love and effort goes into the cannabis of this now legendary seed banks. This easy to grow plant is the most popular strain of Serious Seeds. It is of medium height and produces good yields quite quickly. Available as Regular as well as Feminized seeds. 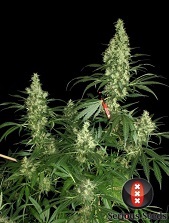 A fantastic outdoor strain from Serious Seeds, Biddy Early is fast-flowering, making her very well-suited to grow in Northern Europe and other locations with short summers and cold, harsh winters. Bubble Gum is a medium tall, usually not too branchy (sometimes stretchy) plant, producing compact, crystal covered buds with an incredible sweet smell. This medium height, not too dense plant is the perfect combination of good yield and excellent quality. Available as regular as well as feminized seeds. Double Dutch is a cross of a Warlock male with a pre-2000 Chronic female. 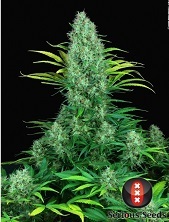 Kali Mist is a superior Sativa from Serious Seeds. 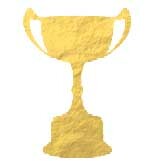 Cannabis Cup Winner. Motavation is a great indica, ideal for SOG and ScrOG systems. Winner of several awards. White Russian won the Cannabis Cup in 1996 and is still one of the most effective strains available today. Autoflowering White Russian (feminized) by Serious Seeds is a brand new crossing of the famous AK-47 and the award winning White Widow. This new gem is yet unpolished and not 100% stable, but you can expect plants of 70-90cm height and the end product will surprise you. Bred by some of Holland’s longest established breeders, Serious Happiness is a new, limited edition, F1 hybrid strain from Serious Seeds that takes quality genetics to the next level. Created from combining the legendary strains Warlock and AK-47, Serious Happiness boasts easy cultivation and a 60 – 70 day flowering time. CBD-Chronic is the first dedicated CBD strain to be produced by the breeders of Serious Seeds. By combining Chronic x Remedy, they have created a strain offering a functional and pleasant experience. CBD-Chronic has a CBD:THC ratio of 1:1, flowers in 56-63 days, and can yield up to 600g/m². Any fan of Serious Seeds looking for a bit of extra CBD will not want to pass up CBD-Chronic! Serious Seeds took a classic OG Kush and paired it with a White Russian to bring us a new and improved Kush that can absolutely deliver. With massive yields, an excellent aroma and out-of-this world potency, Serious Kush could easily become a favourite among Indica lovers. The CBD-enriched Warlock by Serious Seeds is a potent CBD-enriched strain that thanks to her Warlock genetics impresses with an incredibly fruity and sweet flavour profile. With an average THC:CBD ratio of 2:1 she can be the perfect medicine to help treat a number of health conditions while keeping the superb taste of the original. Strawberry AKeil is a sweet, fruity hybrid with sativa-dominant properties. This uplifting creation from Serious Seeds delivers a strong energising high that gradually tapers into a relaxing, mellow stone. The delicious flavours of strawberry, candy, and bubble gum make this a must for sweet-tooths. It is also highly recommended for those looking to relax with a soothing experience. Serious Seeds are well known for their top-quality cannabis seeds, so we thought we would dedicate a bit of time to find out all about them. The origins of Serious can be traced back to one man, Simon, breeder and founder of the seed bank. It was back in university in Amsterdam that Simon first laid the foundations for the master breeder he would turn into. He was studying biology, and at this point, he was a non-smoker – due to an aversion to tobacco, and weed being mixed with tobacco as a standard in the Netherlands. However, in 1986 he discovered the wonders of smoking marijuana in a pure form, and his life was changed forever. From here Simon made it his mission to collect a personal library of cannabis seeds, using a growing number of contacts to obtain rare and interesting varieties. Back in the day, genetic background was not as easy to determine – there was no internet and common knowledge to spread easily. It led to a lot of experimentation, crossing the best specimens that grew from these seeds and using them to supply a personal stash. Although he was working as a high school teacher at the time, his growing reputation eventually led Alan Dronkers of Sensi Seeds to get in contact, asking Simon to work with them as a breeder. After a while of working with Sensi Seeds, Simon decided to go his own way, working on a few collaborative projects with other breeders that resulted in the infamous classic AK-47 and Chronic. Eventually, in 1995, he founded his own seed bank and Serious Seeds was born. From here the seed bank went on to become in instant hit, winning multiple awards for such classics as Kali Mist and the aforementioned AK-47 and Chronic. 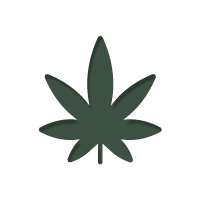 Their bud was stocked throughout Amsterdam within the coffee shops as a customer favourite. To this day, the focus of Serious Seeds has been on quality. Despite their popularity, Serious Seeds have endeavoured to remain small and dedicated – not focusing on large commercialisation, producing new strains every year, or entering every competition they can. Instead, they have focused their time on what matters, producing and refining one of the best selection of cannabis seeds available. It’s not just cannabis seeds that Serious Seeds are serious about. They also treat customer care with the utmost of importance. As such, you can rest assured that their seed packaging does the job well. Each set of seeds is sealed in a hard plastic tube to ensure safety. This is then enveloped in a card case, both displaying the strain’s info and keeping the seeds in the dark. 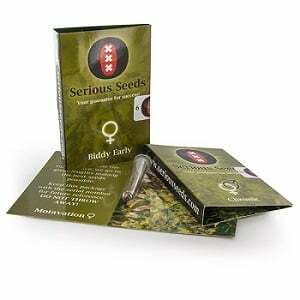 Serious Seeds’ cannabis seeds are available in both regular and feminized varieties, in quantities of 6 for feminized and 11 for regular. 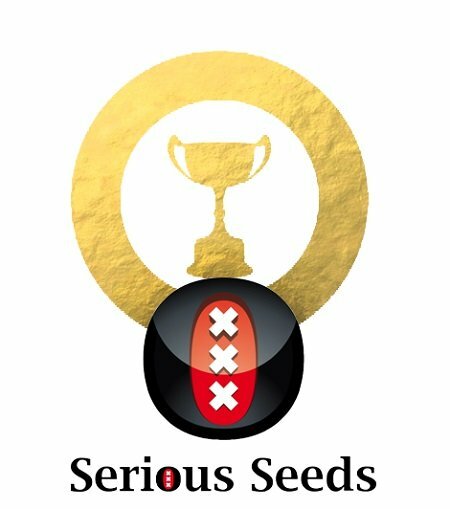 When it comes to award-winning cannabis seeds, Serious Seeds are not lacking. And despite not focusing on awards, they still win them none the less. Here are some of their most renowned award-winners, and the awards these cannabis strains actually won. Possibly one of the most infamous and widely regarded cannabis strains of all time, AK-47 is a timeless classic of the Serious Seeds range. Also known as the “one hit wonder”, AK-47 packs a strong, relaxing punch. 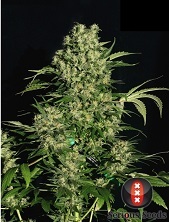 She grows to medium heights, flowers in 53-63 days, and can yield between 350g-500g/m² for the time and effort. Be warned, she is an extremely pungent strain! Considered to one of their strongest growers, Chronic has gained a reputation as the high-quality go-to strain for connoisseurs wanting a constant and reliable personal stash. She produces a very sweet flavour, which rolls over into a happy and relaxed high. Chronic grows with many side branches, flowering in 53-63 days, and yielding up to 600g/m². She is an old-school classic worthy of every grower’s attention. Often referred to as the “Queen of Sativas”, Kali Mist is another old school classic from Serious Seeds that has stood the test of time. She has been used in countless hybrids, and is still a favourite among connoisseurs. Kali Mist is a real resin producer, with nugs becoming coated. She creates a slightly spicy flavour which rolls over into a powerful cerebral high when used. Expect very large yields from this very large plant after 70-90 days of flowering. An outdoor variety of cannabis specifically bred for the cold, but slightly more humid climate of Northern Europe (such as the Netherlands and the UK), Biddy Early is a great top-shelf strain for novices. With high resilience and a fast turnaround, she is the ideal candidate for those looking to hone their skills or try growing in the great outdoors for the first time. When used, she produces a sweet, candy-like flavour and induces a strong and pleasant buzz. She is usually ready by late September when grown outdoors. Another great outdoor focused strain, Serious 6 combines short flowering times and a resilient combination of Canadian and African genetics to produce a well-rounded grower. She produces a citrusy-spicy aroma, and induces a creative and happy high - thanks to being a near pure sativa. She finishes super early, being ready for harvest by the end of September – ideal for Northern EU climates. Warlock is a legend that brings the best of both sativa and indica growing characteristics together – staying short and busy during veg, but producing gigantic nuggets when flowering. Her flavour is often described as being uniquely sweet and earthy at the same time. The high induced is relaxing, but soaring – focusing on cerebral aspects. Warlock has a flowering time of 55-60 days, producing up to 500g/m². Often used as a parent for fruity hybrids, Bubble Gum is known as one of the sweetest strains around. When you consider the combination of her fruity-sweet aroma and soaring euphoric high, it quickly becomes easy to tell why she was so popular. Bubble Gum flowers in 56-63 days, yielding up to 450g/m² of prime bud. A mostly indica variety, White Russian has become well known for its potent and relaxing effects. She produces very dense, resinous buds that when used, induces a balanced high, launching the mind into euphoria while melting the body. White Russian flowers in 56-63 days, producing up to 500g/m².